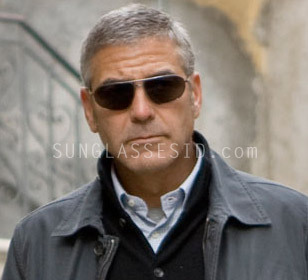 In The American, George Clooney is suited in Ermenegildo Zegna clothes as well as eyewear. The images on the left show him wearing Ermenegildo Zegna 3174 aviator style sunglasses. The outfit that George Clooney wears in The American is an Ermenegildo Zegna two button suit from the “Sartoria” line, made in the crease-resistant ‘Traveller’ fabric of superfine merino wool, with an Egyptian cotton formal shirt and classic leather lace-ups. Throughout the film the majority of Jack’s casual wardrobe was also supplied by Ermenegildo Zegna. “We had a lot of big name designers vying for the opportunity to provide this suit,” she continues. “But the only designer I seriously considered was [Ermenegildo] Zegna. Their suits have an understated quality that doesn’t rely on fashion-forwardness. It’s traditional tailoring but very modern and clean. [Jack’s final suit] is not a ‘look at me’ suit — when you put on that suit, you look at the person. But other than getting the tailoring right, it wasn’t designed for him. And because we needed half a dozen suits [to shoot the scene], we were able to ask [Zegna] to make repeats for us. Throughout the film, much of Jack's staple wardrobe and eyewear also relied on his other Zegna pieces”. 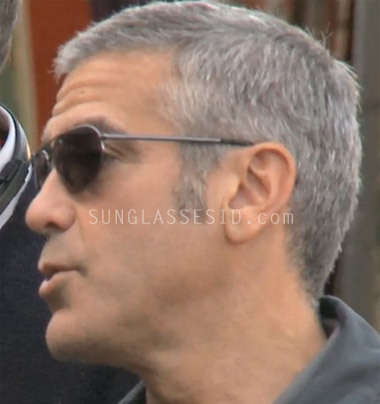 George Clooney wears Persol sunglasses in the movie as well, model 2883.